The NC 2018 Homecoming Royalty, alongside a loved one of theirs, poses for a picture with principal Moody. After these pictures, Wolfenbarger and Singleton, as well as their accompanying parents, took additional pictures, this time snapshotted by admiring students on their phones in addition to independently hired photographers. Homecoming Week, for all the activities it bears, becomes largely defined by the homecoming court. Comprised of the most popular students at NC, just securing a spot on the court earns students respect from their peers as well as the school faculty. However, if a court member acquires the title of Homecoming King or Queen, the levels of recognition they receive increase substantially. 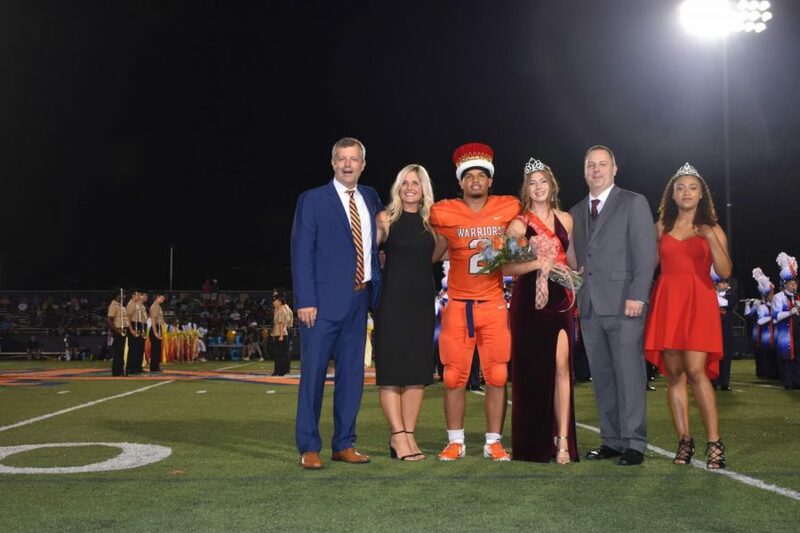 This notion assuredly applies to the royalty for this year, seniors Christian Singleton and Sasha Wolfenbarger; Singleton plays as a wide receiver for our Varsity Warrior Football team, while Wolfenbarger runs for our Cross Country team. Anticipation, like with any other position in life, plays a large role in the royalty selection process. After nominating oneself for the court, aspirant students must wait for TC members to tally up all of the votes from students to determine which student will or will not make the main homecoming court. However, at this point, more awaits in the selection process. Students then must vote for which court members will end up as the decisive royalty. When that choice becomes clear, the nominees must wait until the day of the Homecoming game to find out who won. This process takes deliberation and waiting—an amount of time that nearly brings one of the winners to tears when hearing his/her name called during the game. “It was crazy; my heart was beating fast, and I was bursting with excitement. 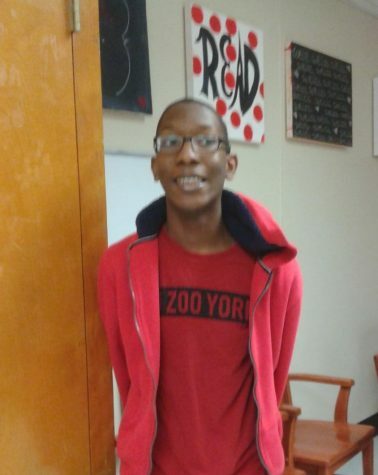 I hugged my mom, and I felt like I was just about to cry, and the tears were just rolling out to my eyes, but none actually came out,” Homecoming King Christian Singleton said. As for Wolfenbarger, while her reaction to her new titled lacked the emotional tension Singleton underwent, the heat of the moment certainly impacted her, though her response resulted more in a feeling of beholdence than anything else. Homecoming Queen Sasha Wolfenbarger takes a picture with the principal and her father after the crowning of the court royalty. Alongside her stands Maya Hercey , the NC Homecoming Queen from last year, who returned to congratulate the inheritor of her former position on her achievement. “It was exciting, but surprising at the same time. 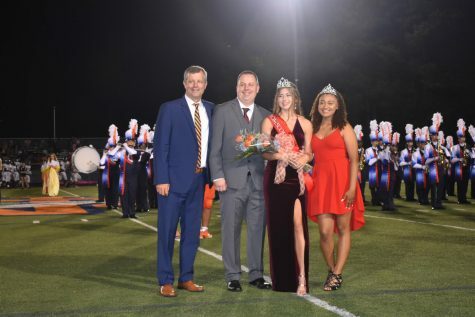 I’m thankful for the students at NC who voted for me, and I’m glad that I got to be a part of that experience,” Homecoming Queen Sasha Wolfenbarger said. To those not particularly interested in the court, the annual round of homecoming votings perhaps seemed like a run of the mill, yearly occurrence undergoing no changes as time passess. This year, however, inaugurated the competition adding a male candidate to run for a position on the homecoming court, either a king for the seniors or a prince for underclassmen. 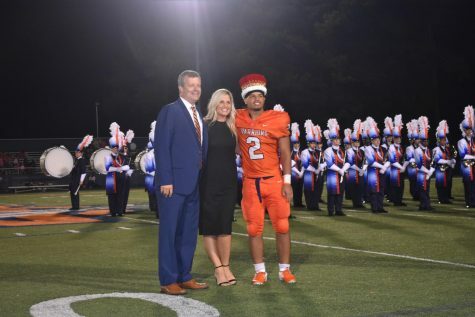 Senior Christian Singleton poses for a picture with his mother & principal Matthew Moody during the crowning ceremony in the Homecoming game last Friday the 5th. As wide reciever for the Varsity Warrior football team, Singleton scored five out of the seven touchdowns during the game, leading the team to a 43-13 win for NC. Prior to this change, homecoming nominations exclusively focused on the female perspective, with the time to shine for the boys normally happening in the spring semester with Hoopcoming. While one could reasonably assume that Wolfenbarger may not feel too fondly about sharing the spotlight with another student, the inverse of these idea seems to ring true. “I feel that guys should be able to be included, as every student is equal and deserves the same fun opportunities. I don’t think [boys being on the court] pulls focus away from the ladies, because [during the announcement] everyone had their moment to shine,” Wolfenbarger said. The nominees for the male Homecoming Court exit the center of the Arena during the pep rally Friday, right after a walkdown ceremony occurred in their honor. This year marks the first in which the boys can nominate themselves on the court for a chance at winning the position of king, something previously exclusive to the girls; prior to this, boys would nominate themselves for the position of Hoopcoming king in the spring season. Likewise, it does not seem like a stretch to assume that Singleton believes that the added spotlight for the boys harms no one in the long run; rather, he seems to feel the opposite; his status as the first Homecoming king may put this into perspective. “I like it, obviously—I won, so I’m cool with it, but if there’s a queen, there should be a king. I do feel it pulls some attention away from the ladies because there’s another person under the spotlight, but at the same time, I feel like it’s more attention for the whole senior [class],” Singleton said. 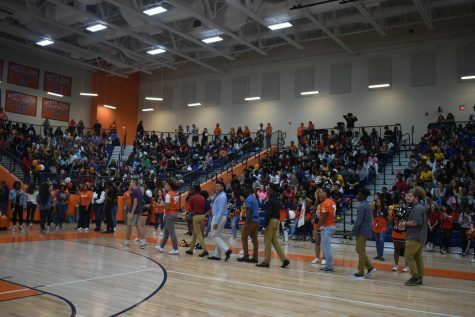 The second pep rally of the year, held to introduce the entire court ended as a rousing success, with all members earning scores of applause and student approval when each member walked down with their partner. Overall levels of student positivity seemed fairly lofty, though the student dance-off likely played a role in this. Likewise, the royalty announcement at Homecoming also went down well, with each and every attending student, parent, football player, and viewer seemingly on the edge of their seat, eagerly awaiting the reveal, as they hopefully will do for many more years to come.